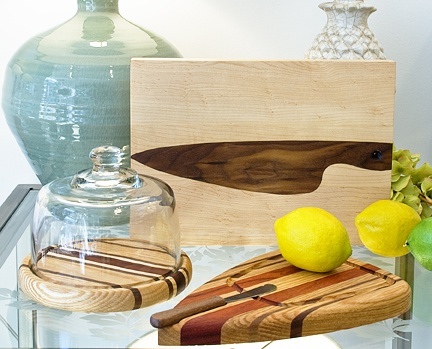 Ray & Jamie hand craft kitchen and desk accessories in their workshop-Mystic Woodworks of Warren, Maine. 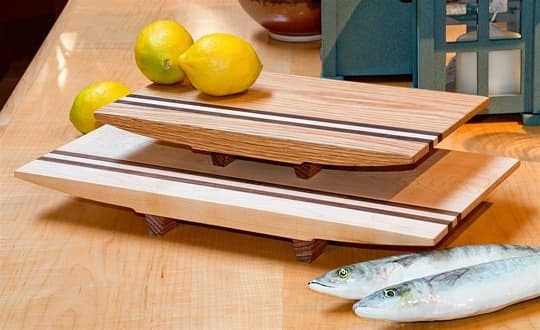 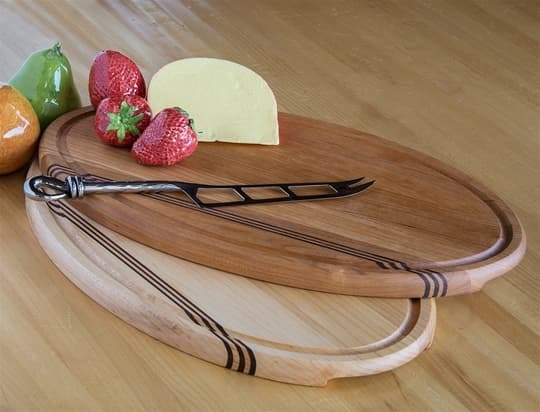 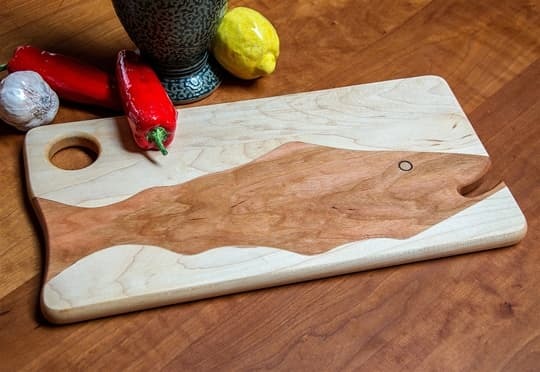 Utilizing the natural colors of the finest American and exotic woods, they create handsome patterns in bread boards, cutting and cheese boards, coaster sets, and desk accessories. 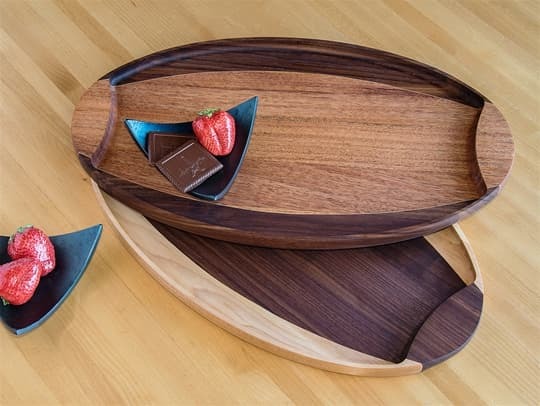 Clip boards come in two sizes with matching pencil holders.